With a few caveats, Sid Meier’s famous 4X title goes mobile in an amazing full sized edition. For over a decade, Sid Meier’s Civilization series has taken the gaming world to all sorts of strategic highs and single-handedly defined the 4X genre. For those wanting to take this strategy on the go, Sid Meier’s Civilization VI is now available for iOS devices with nothing cut out like most mobile ports. That’s right, you’re getting the exact same game as on the PC, but it comes at the price of some caveats. Despite this, this is the app to get if you’re looking for some serious, uncut mobile 4X action. 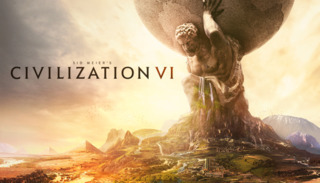 For those who never played a 4X title such as Civilization, fellow reviewer Cory Galliher can get you caught up in his 2016 review of this title on PC. Basically it’s a game where you literally create a civilization and do your best to expand it by exploring new territories, gathering resources, making allies and enemies in the process, and more as you and your nation evolve and grow ever more powerful. What makes things fun and challenging though is that you can only proceed by accomplishing victory conditions that vary as you play, such as making a religion and spreading it around the world, or go on a power trip by using your military to wipe out those around you. Whatever the case may be, there’s always some new objective that will keep you on your toes at all times. While the concept of all of this is fun and exciting, you’ll need a fairly recent iOS device to handle this monster. With this being a fairly taxing game on even the most powerful gaming PC’s, you’ll want to have the 2017 iPad or any version of the iPad Pro to get everything out of it. They say it can run on the iPad Air 2, but this is something I wouldn’t recommend at all unless you enjoy stuttering framerates and lag between issuing commands. Using my trusty first edition iPad Pro, it looks a lot like the PC version but with lower settings applied. This is fine as no one plays these games for the graphics (though they are nice if simple), but for the strategic action. I was surprised at how well the touch controls work here, but you’ll want to pay attention to the tutorial as the controls can throw you off. A perfect example is using a three finger tap to access and close certain menus. There’s also the tried and true zooming in and out on the map using pinch gestures, and for those who truly want the PC experience, you can use a Bluetooth keyboard or the Apple Smart Keyboard cover to play. Those who do will find the same keybinds and shortcuts from the PC version also work on this version, which makes for a nice touch for PC players moving over to this mobile edition. Another thing that may throw off some players is the steep $60 price tag, though you are getting the complete game here. Luckily you can download and play the game for free as the Chinese empire for the first sixty turns. Sadly those looking for online multiplayer won’t find it here, though it does feature LAN support. All in all, if you love Civilization VI and want to take it on the road, this is the version for you. Despite some controls that take a lot of getting used to, some issues that are sure to be patched, and the steep price tag, 4X lovers on the go will get their fill and then some with this version.